In terms of either sporting or business excellence, stress can have an enormous effect on our ability to perform at our best. We have all had times when things just seem to go wrong, missing a few more putts, serving poorly, or not achieving what we wanted to at work. But, whilst we can't expect to perform at our absolute peak levels at all times, we need to ensure that we reduce the depth and the duration of the troughs, whilst still improving our peak performance levels! We know that a good level of stress can help in producing optimum physical and psychological performance, however, too much stress can lead to a drop in our ability to perform well in our chosen sporting or business arena. In addition, this unwanted excess stress can be the root cause of muscle tension, which could lead to injury or illness. Hypnotherapy can have a major impact in improving or restoring your ideal performance by allowing you to take control of your stress levels, and in so doing, will allow you to adequately prepare yourself mentally for that winning edge. Many top sports and business personalities have been using hypnotherapy as a major part of their preparation in helping them achieve their personal goals. Of course even these elite performers are, just like everyone else, susceptible to every day stresses, strains and anxieties, so it is important in knowing how to deal with those factors to. Self confidence is another important issue; its not just about our ability. Our perceptions of ourselves can greatly influence how we perform and what we achieve. Hypnotherapy can also help in allowing you to effectively use both sides of the brain and, by doing this, you can become more creative under pressure, thus becoming less predictable, another essential element in winning! To find out more about how Performance Focused Hypnotherapy could help you achieve your goals, please get in touch to arrange your FREE initial consultation! "With Skype Video Chat, I can be your local specialist, wherever you are!" For your Free Initial Consultation or just to have a general discussion about therapy, please get in touch. 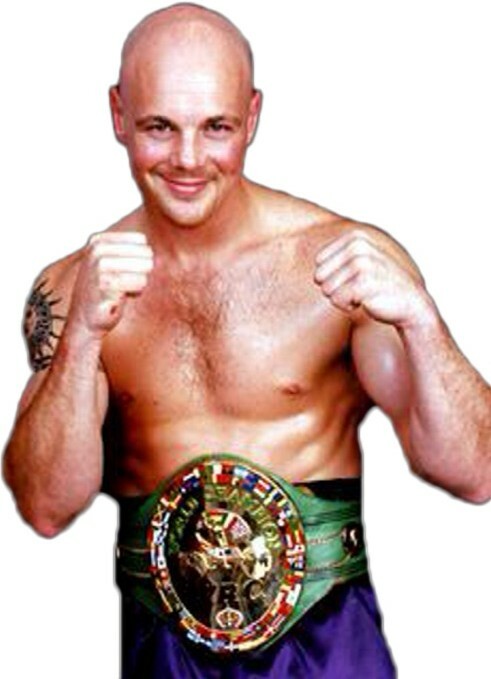 Glenn Catley, Former British and World Champion Boxer is adamant that he could not have achieved the level of success he did without Hypnotherapy! Glenns is an amazing story where he knew that even though he trained like a demon, he simply wasn't as naturally gifted at boxing as some of his potential opponents but his determination to be a champion was such that he wasn't going to let that little fact stop him. He came across Hypnotherapy by chance when he was hired as a sparring partner for the Irish former World Champion boxer Steve Collins. Glenn explains "Some days Steve would arrive later for sparring and we were told he'd had something called 'Hypnotherapy'. At that time I'd never heard of it but what I soon found out was that on those days, Steve was so totally focused that I knew I was in for a hard time and that if I wasn't very careful I'd end up being knocked out!" 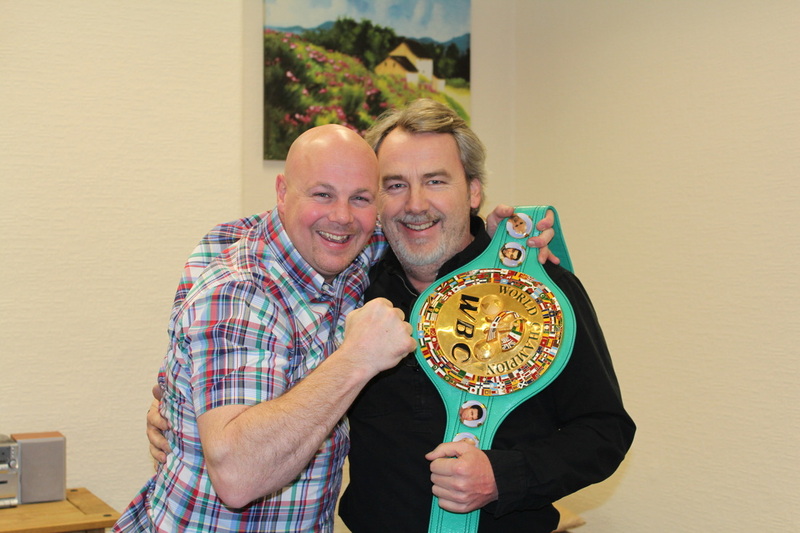 It's no surprise then that when Glenn later got his shot at being a champion himself, he recruited one of the UK's best Hypnotherapists, David Newton. The rest as they say is history, as with David's help Glenn went on to become a British and World Champion! And the effect of Hypnotherapy on Glenns life was so profound that post boxing career, he studied, again with David Newton at CPHT, the best training school for Hypnotherapists in the UK and became a practitioner himself. And yes, that's me with Glenn, as his mentor and chief instructor David Newton is also mine!